Financial institutions have a number of ways to electronically transfer funds. Two of the most common practices are wire transfers and electronic transfers. Though these methods have a number of characteristics in common, they follow different processes and are intended for different purposes. A wire transfer moves funds on an individual basis, taking money from one bank account and moving it directly to an account at another institution. When a bank initiates a wire transfer, a bank employee verifies that the customer has the funds available to send. 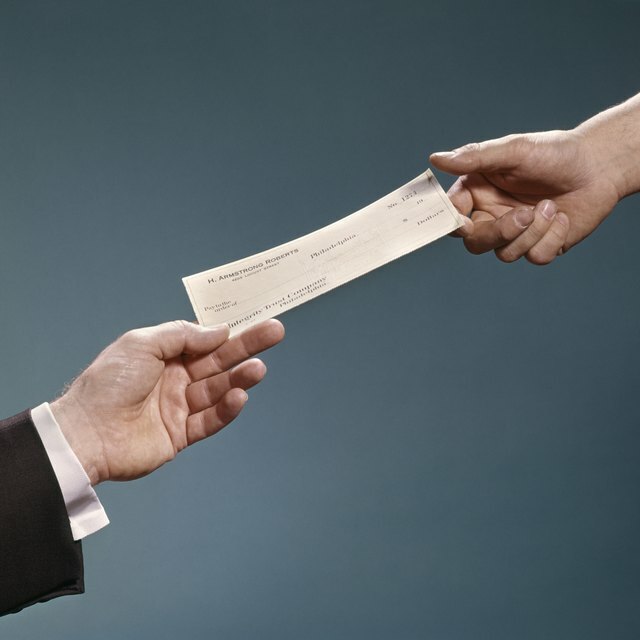 At the receiving institution, an employee confirms the recipient’s account is available to receive incoming funds. The two institutions then initiate a direct electronic transfer of money between the two individual accounts. Once money leaves your account via wire transfer, you cannot retrieve it. Always verify the identity of the person receiving your money, and only send wire transfers to people you trust. Individuals and businesses can use electronic transfers to move money to one or more accounts, unlike the one-to-one nature of wire transfers. In an electronic transfer, the sender initiates an electronic payment through an automated clearinghouse. In many cases, receivers register their bank account information with the ACH, either directly or through a payment service, before the transfer takes place. When the payee sends payment, the ACH receives notice of incoming funds, then electronically sends a credit to the receiver’s confirmed account. What Is the Difference Between Direct Deposits & Wire Transfers? Because bank employees verify each end of the transaction in a wire transfer, funds transferred via wire typically are available right away. Electronic transfers are less direct, and must pass through the ACH as an intermediate step. This additional step adds some time to the process, and funds transferred this way may be available one to three business days after the electronic transfer begins. Wire transfers often move money between accounts separated by large distances. If the sender initiates the wire transfer after business hours – in the receiver’s time zone – availability of funds may be delayed until the next business day. Despite the additional step, electronic funds transfers are relatively simple. Cost for an electronic transfer varies from provider to provider but can be as little as a fraction of a cent per transfer. Because of the low cost, many online banks and financial institutions will initiate an electronic transfer for free. Banks provide wire transfers as a premium service for customers, though, and wire transfers often carry a larger price tag. Wire service fees vary considerably from bank to bank, but a typical wire transfer may cost $25 or more. My Security Awareness: What's the Difference between ACH and Wire Transfers?